MSI expands its line-up of gaming peripherals with three new additions – the Immerse GH60 Gaming Headset, Vigor GK40 Gaming Keyboard and Vigor GK40 Combo which features the Vigor GK40 and the Clutch GM10 Gaming Mouse. The new peripherals offer gamers the essential weapons to conquer their gaming battlefields. 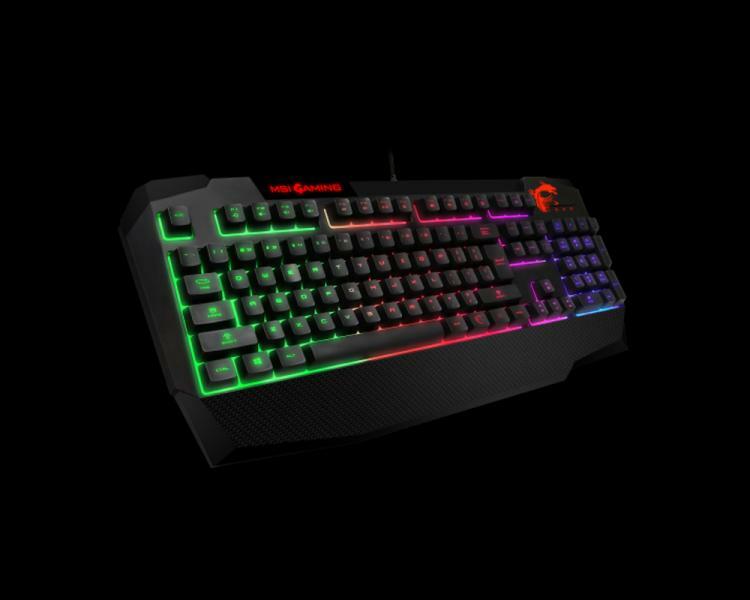 All the new gaming peripherals also feature RGB lighting and support for the MSI Mystic Light RGB software. The Immerse GH60 offers superb and crystal-clear audio with its 50mm neodymium drivers and Hi-Res certification. Its high-definition audio will help you detect enemies from afar. It’s a closed-type can design that naturally offers noise cancelling enabling the user to focus more on the sound elements of the game. 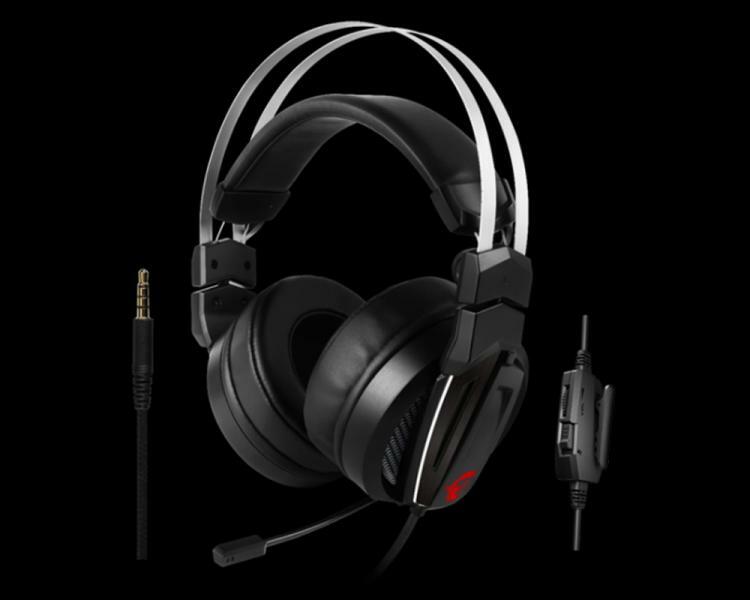 It also sports an ergonomic and comfortable design with two sets of ear pads. The Vigor GK40 GAMING Keyboard features mechanical-like keystroke offering more crisp feels and a better typing experience compared to general membrane keyboards on the market. With the multi-colour backlit keys, several levels of brightness adjustment and a huge comfortable palm rest, gamers are able to completely enjoy the atmosphere in-game when playing in the dark. 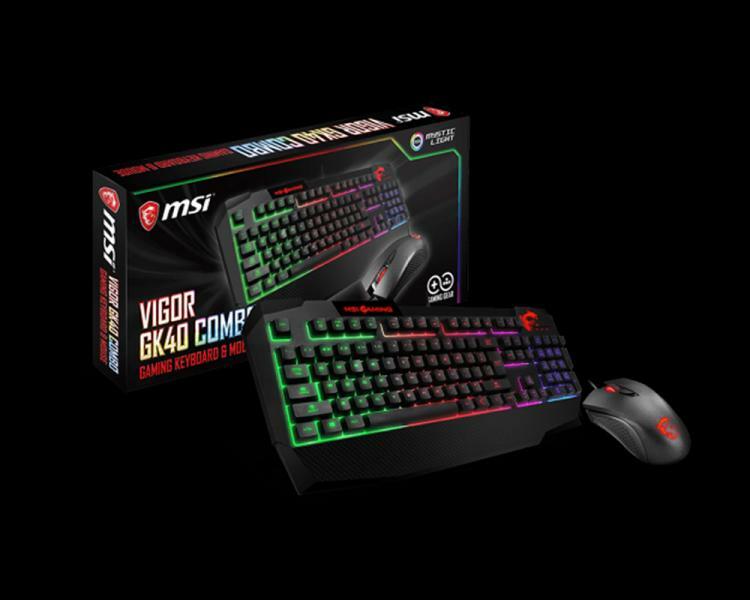 This combo features the Vigor GK40 Gaming Keyboard and Clutch GM10 Gaming Mouse bundled together. The GM10 GAMING mouse equips ergonomic design, up to 2400 DPI with 4-level switch and MSI dragon LED to be applicable in the office or in game. The new MSI Immerse GH60 Gaming Headset, Vigor GK40 Gaming Keyboard and GK40 Combo Kit will be available this January 2018.